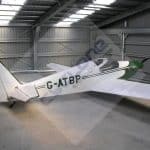 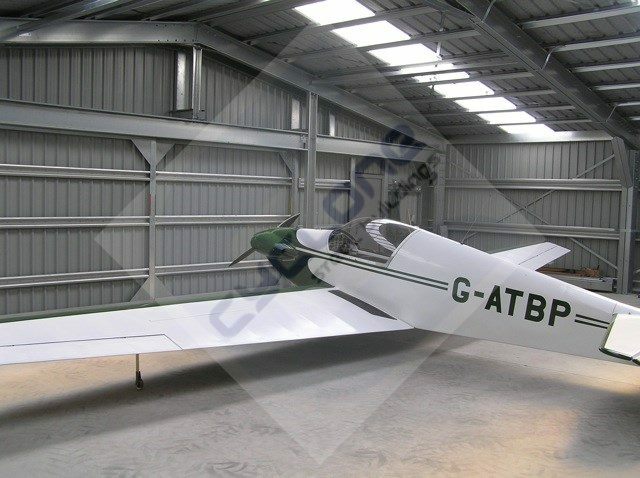 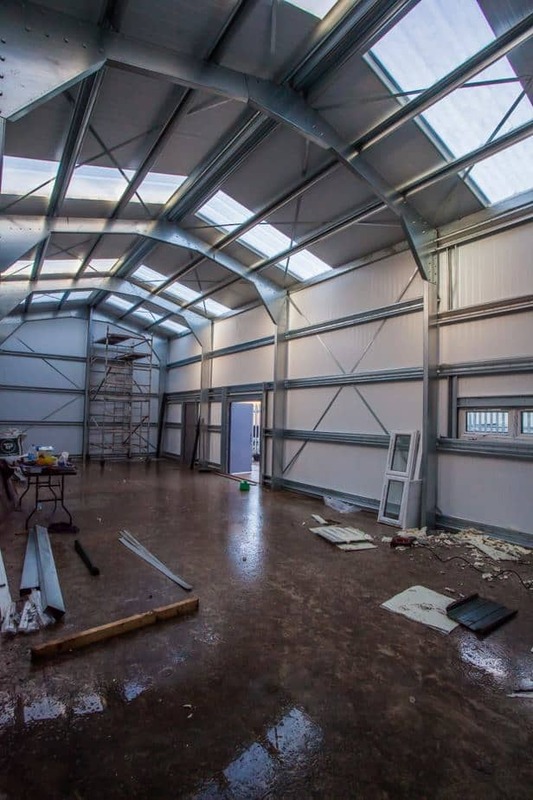 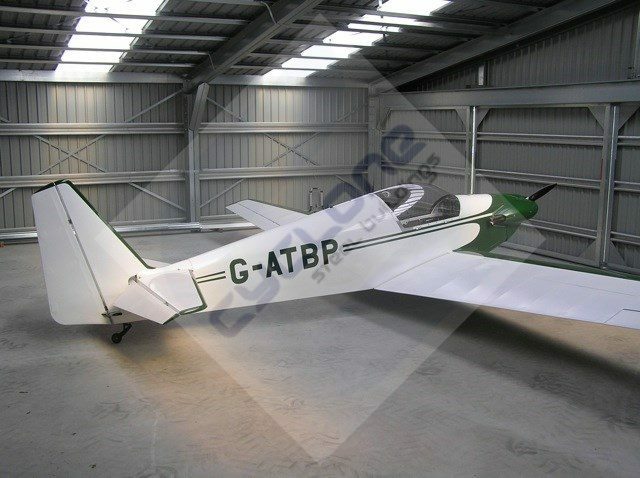 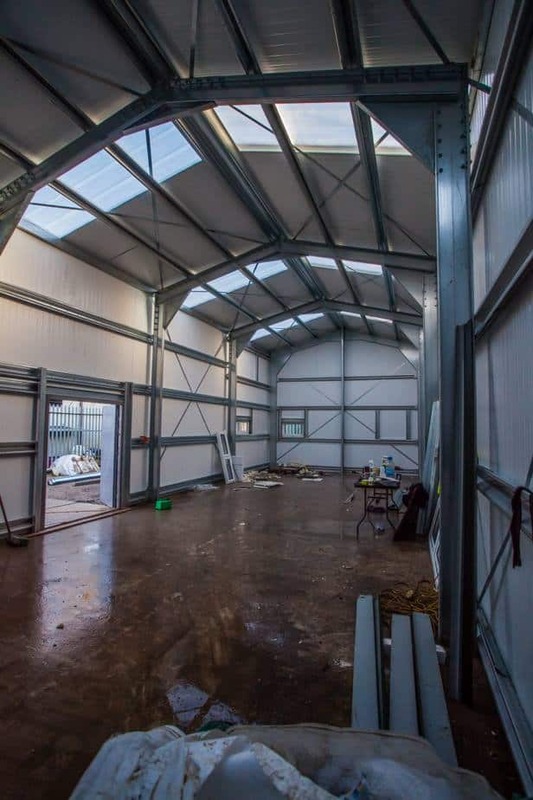 Earlier this year we completed the erection of a light aircraft hangar at Easter Airfield in the Highlands. 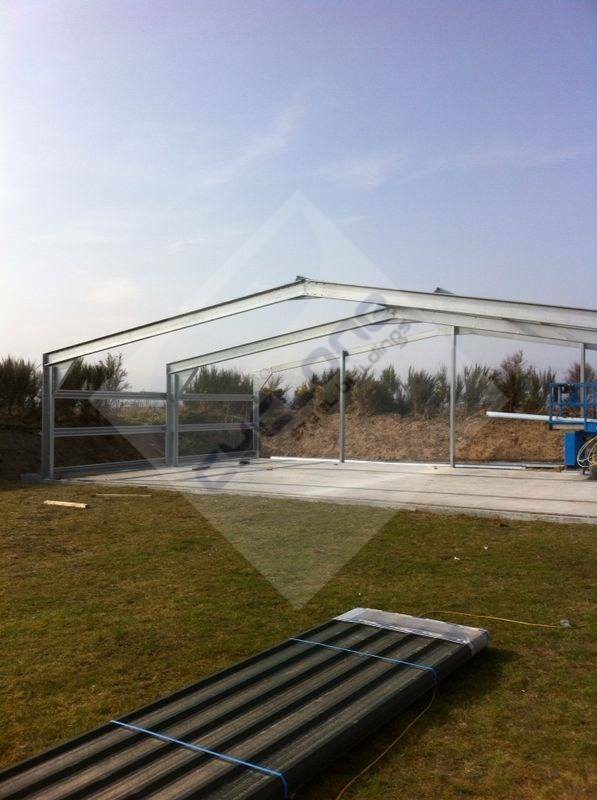 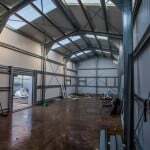 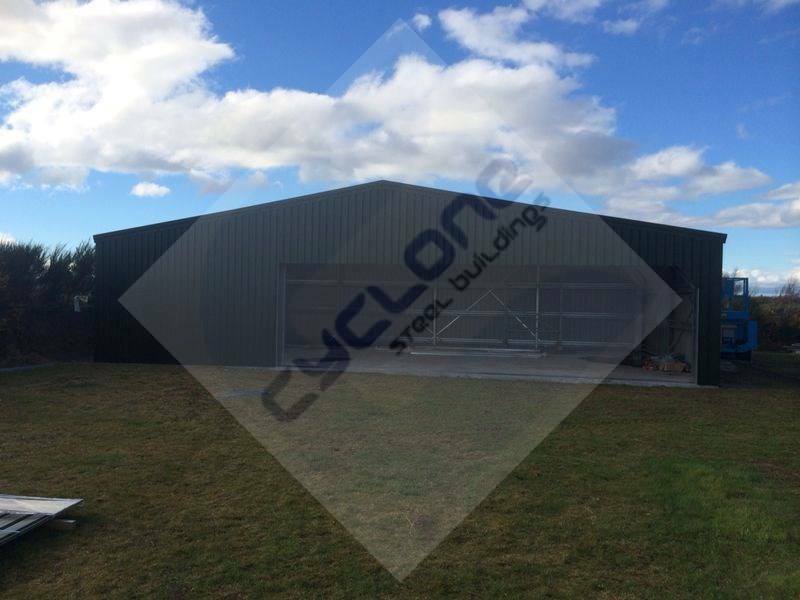 The completed hangar measures 14m x 9m x 3m to the eaves. 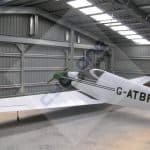 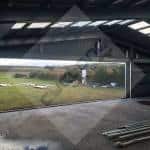 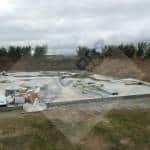 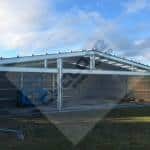 Check out the construction images in the gallery below then take a look at the video showing the Fournier RF3 entering the completed hangar. 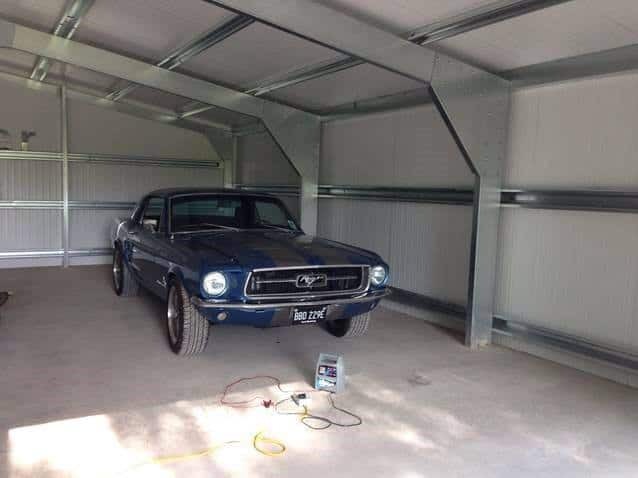 Recently we were contacted by a car collector looking for a new home for this 1967 Ford Mustang American muscle car. 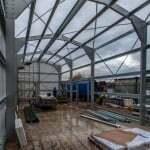 Access was tight but as you will see from the images below the building doesn’t look out of place and you would never know there had been a team of steel erectors on the property. 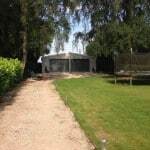 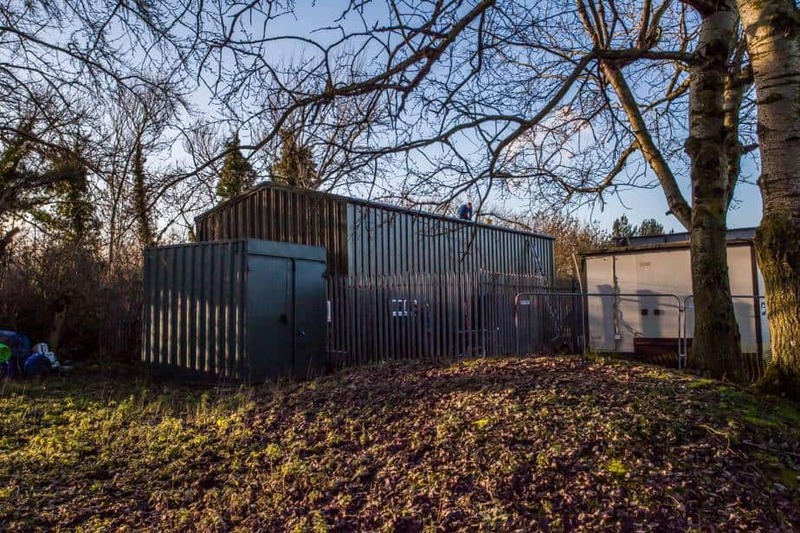 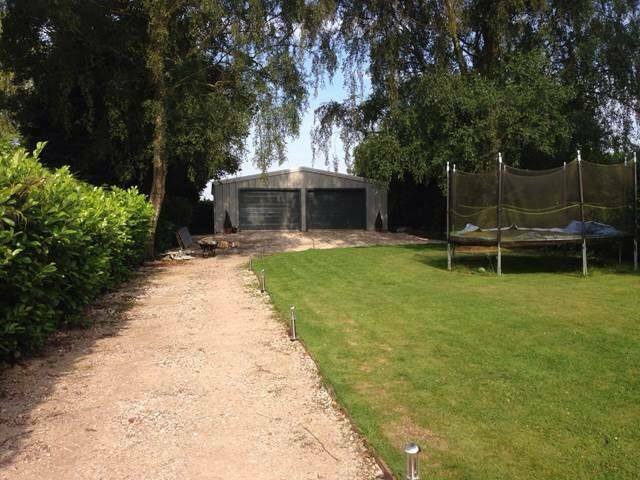 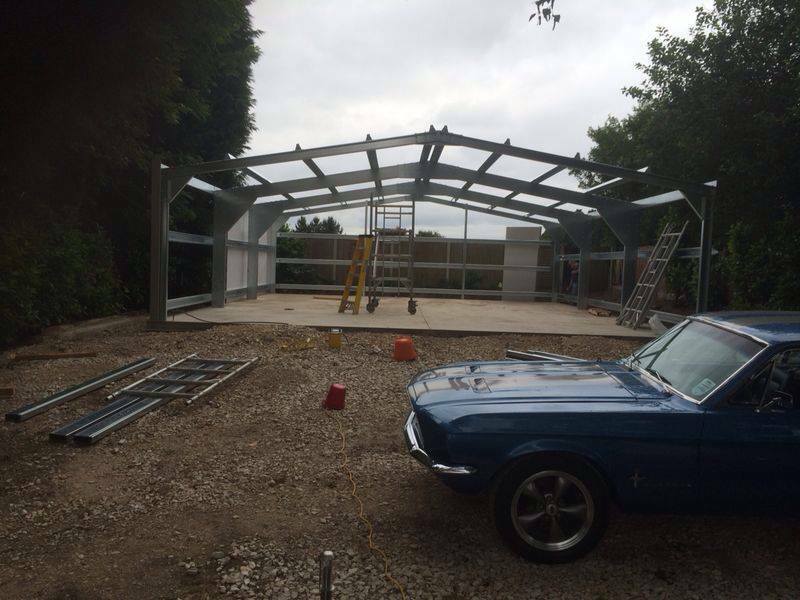 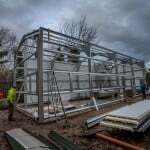 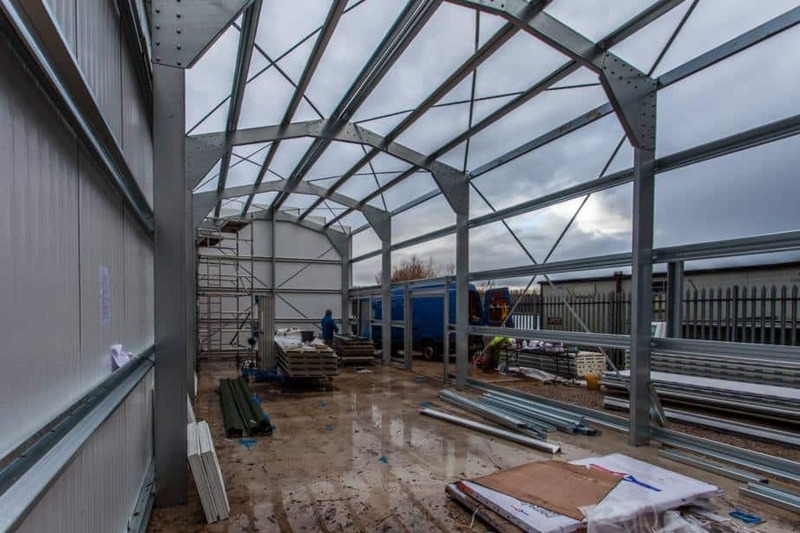 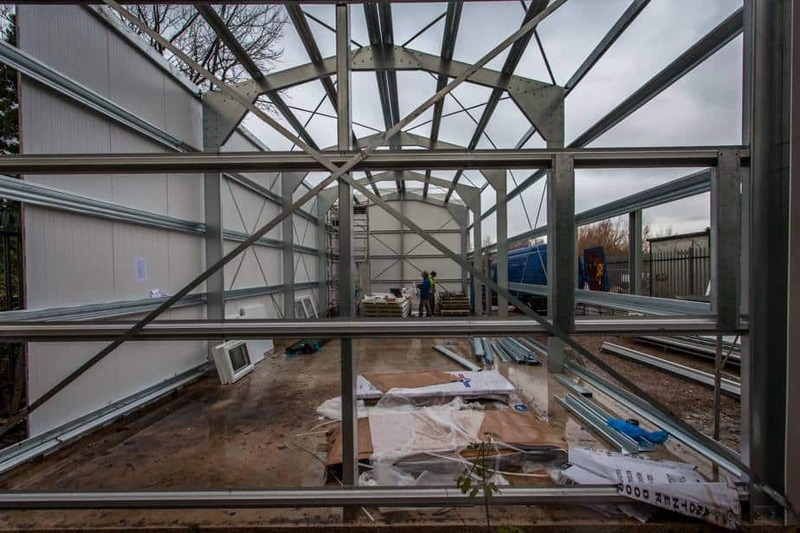 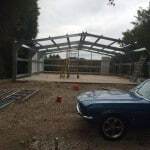 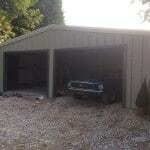 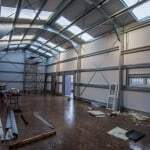 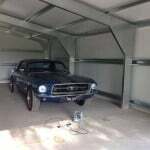 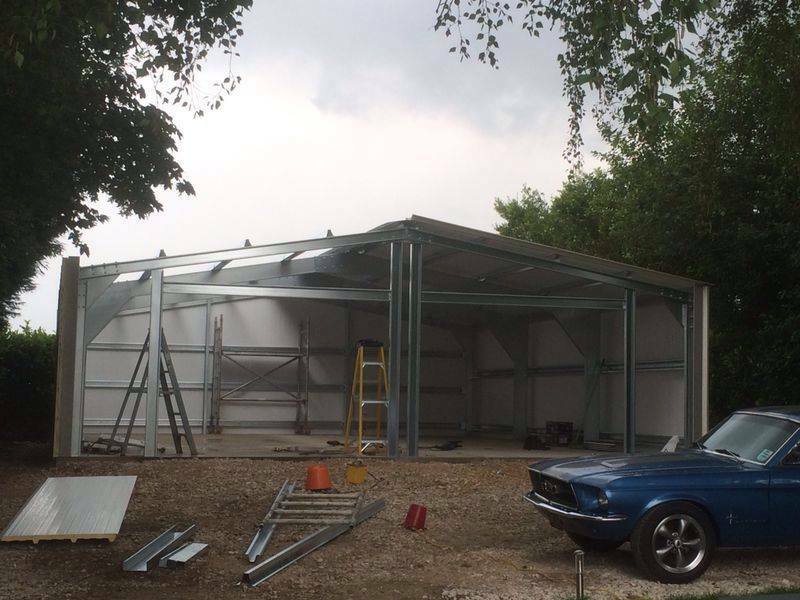 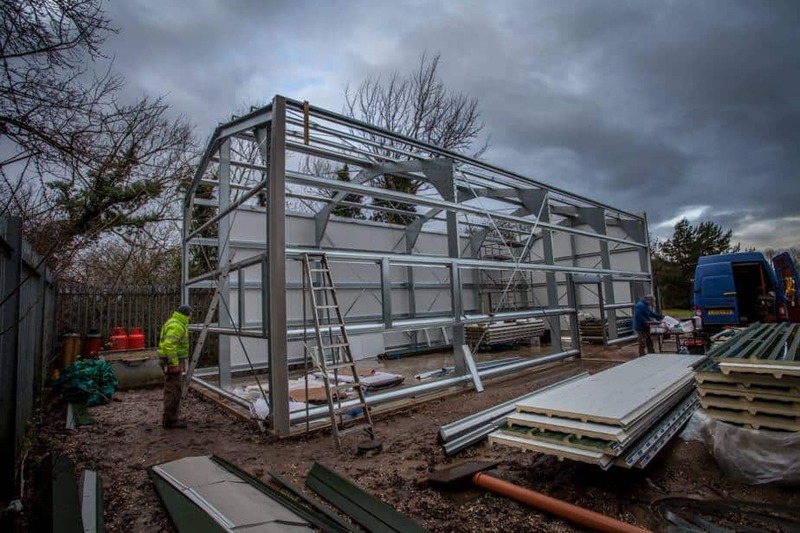 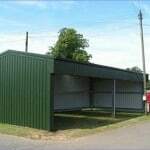 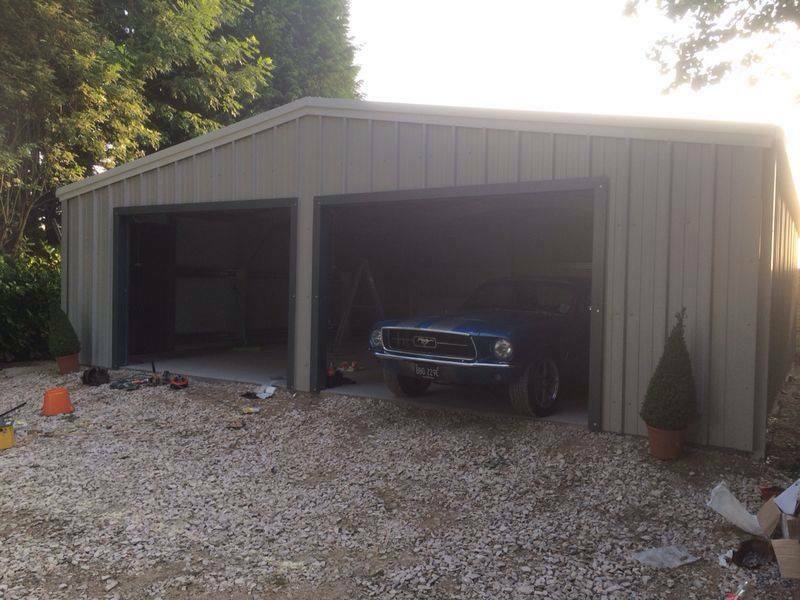 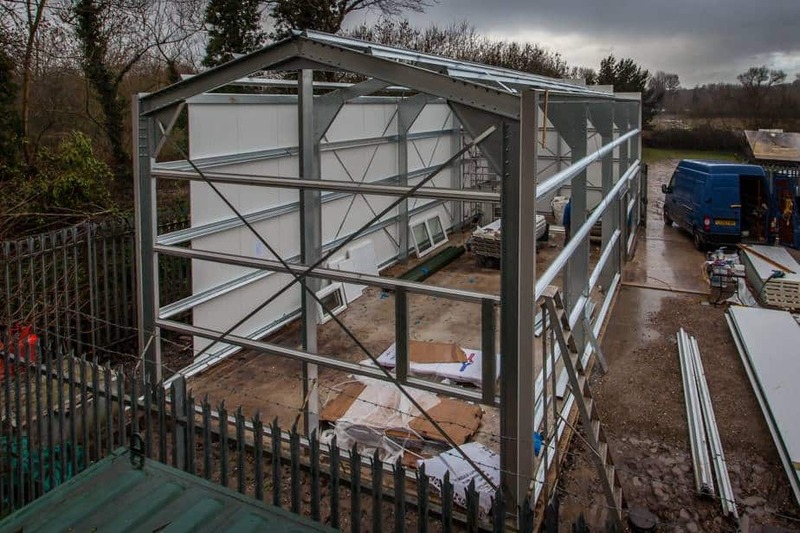 So if, you need a bespoke steel building for any type of vehicle, contact us today. 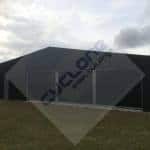 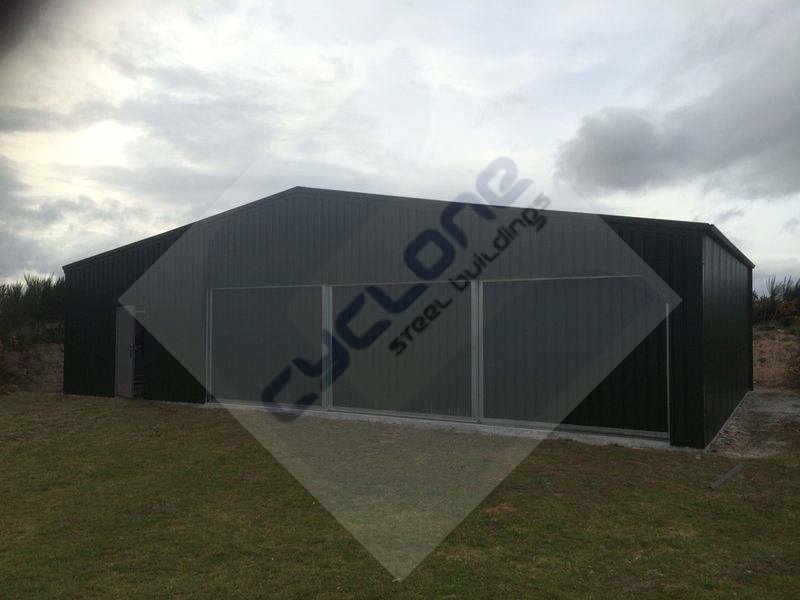 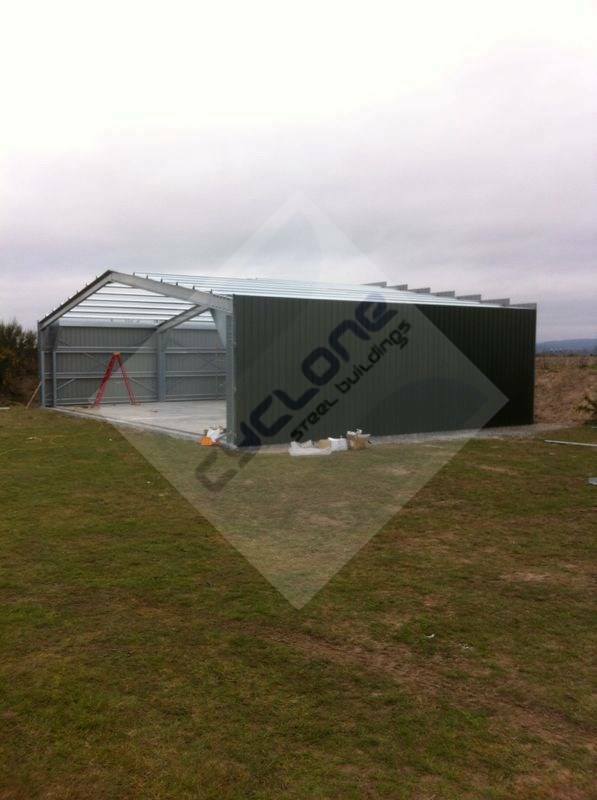 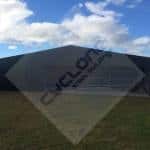 Our Steel framed metal sheds are provide all purpose storage for the farm and agricultural industry. 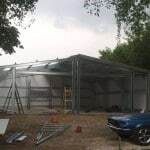 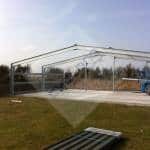 We can provide any size of building with as few or as many bays as you require. 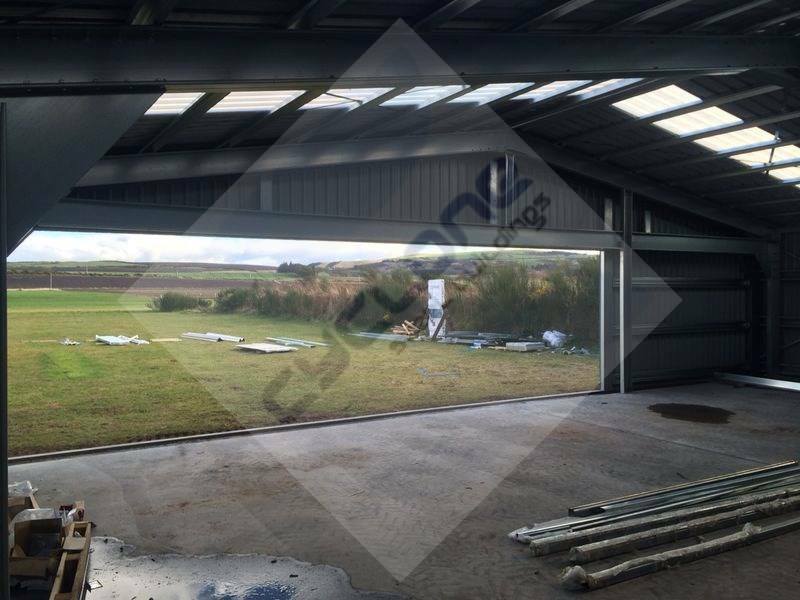 Bays can be closed or left open as displayed in the image below. 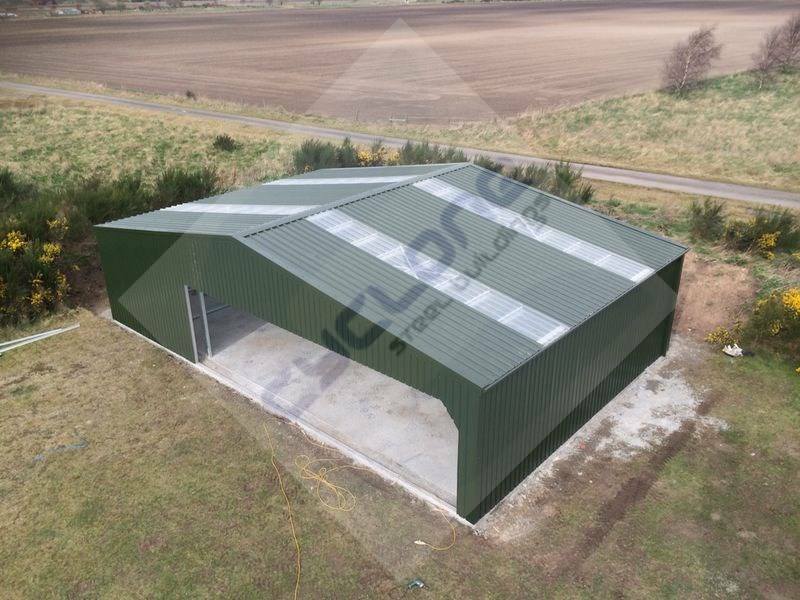 Our sheds are resistant to all weather conditions and come insulated or as a single skin so they are ideal for livestock such as sheep, cows or horses or vehicles such as combines tractors and trailers. 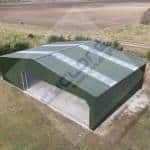 They could also be used for feed storage. 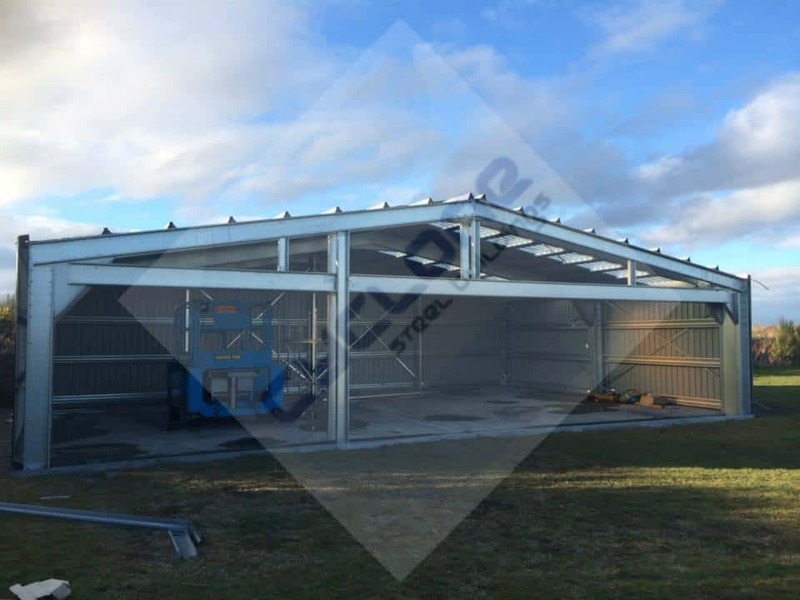 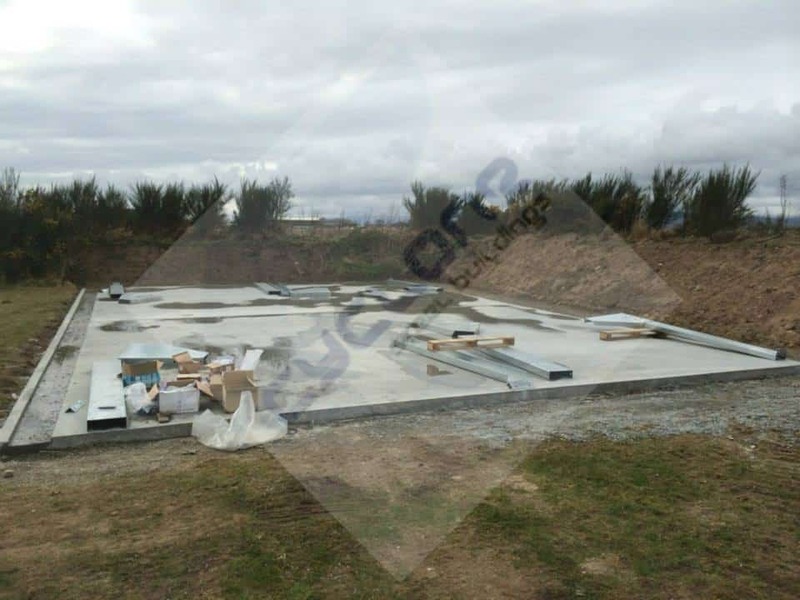 Contact us today and GET A QUOTE for your new Farm or Agricultural Steel building. 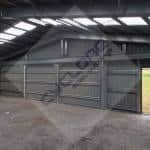 6m (19.7ft) width x 8m (26.3ft) length & 2.7m (8.8ft) to eaves. 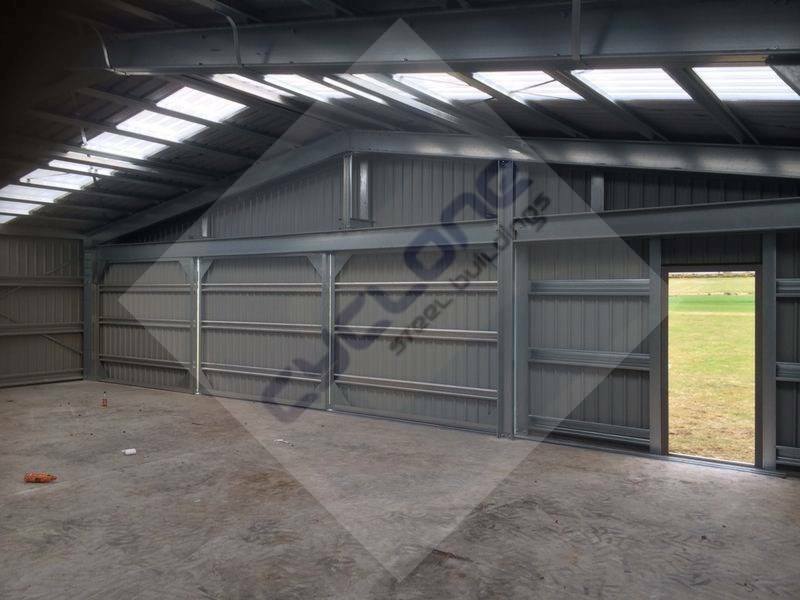 Made from cold rolled Cee-section columns and rafters. 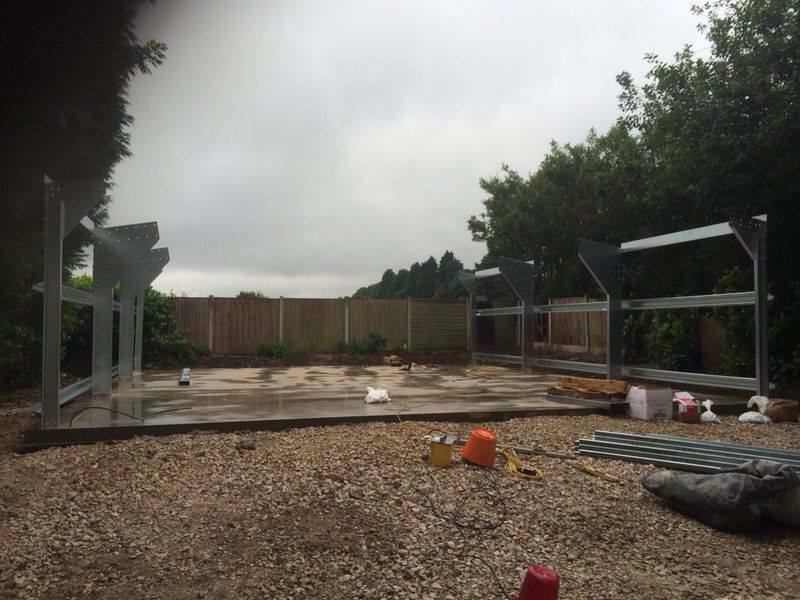 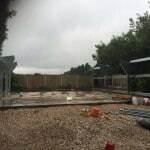 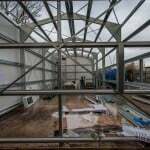 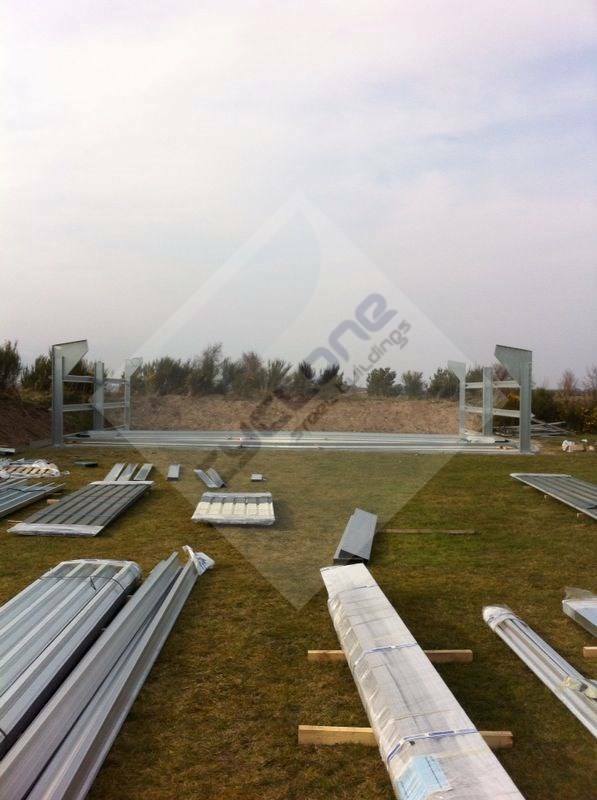 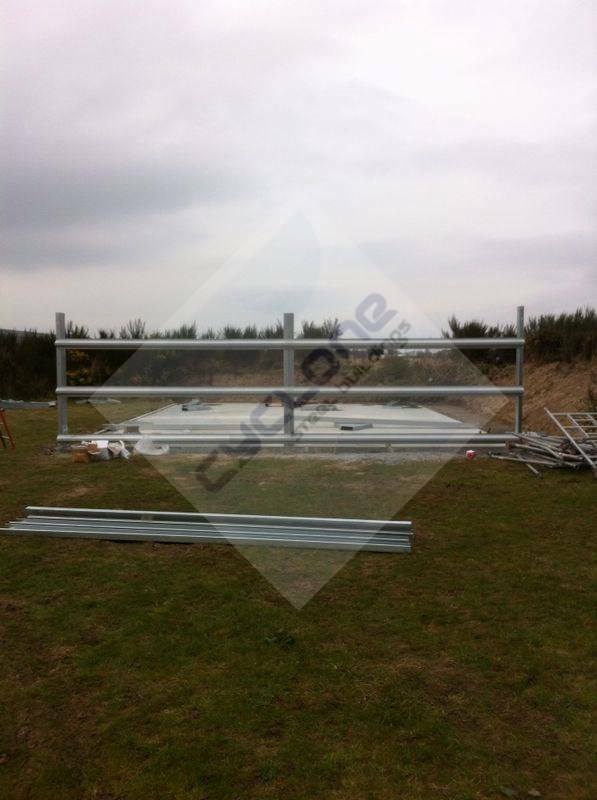 All framework is hot dipped galvanised steel to BS EN 10147 Fe E350G-Z275. 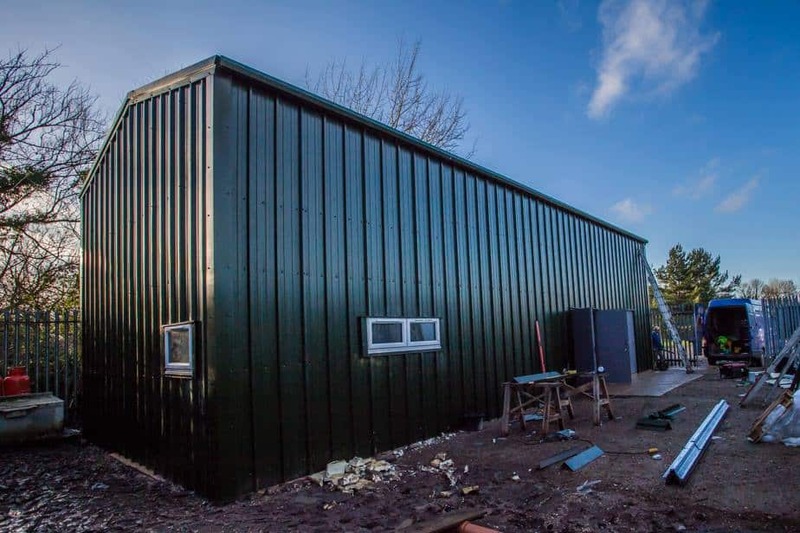 Single Skin Box Profile Cladding, Juniper Green Steel Sheeting. 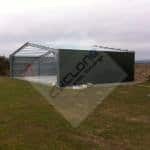 Anti-Condensation Barrier coating on roof. 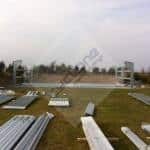 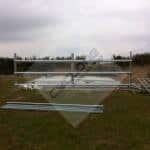 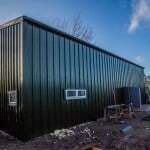 All plastisol coated guttering and down-pipes and necessary screws, bolt sets, masonry anchors, screw caps and brackets required to erect this building are included. 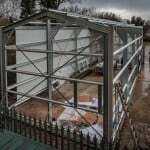 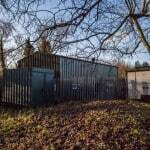 Steel Building kit Delivered to a Mainland UK address.